Petronas Official Press Release after today townhall meeting. Petroliam Nasional Bhd (Petronas) expects its group-wide transformation to result in redundancies of under 1,000 positions. The national oil corporation said exhaustive efforts are on-going to re-deploy affected employees. “Petronas will further embark on a separation exercise for these employees as needed, which is expected to be completed over the next six months,” it said in a statement. Petronas also announced its new leadership team, following a strategic review of its business operating model for better business efficiency, resilience and sustainability amidst a challenging time for the oil and gas industry. 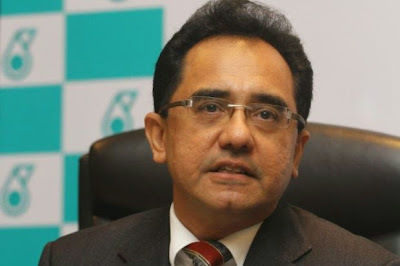 Petronas president and group chief executive officer, Datuk Wan Zulkiflee Wan Ariffin unveiled the leadership line-up, together with the new high-level group organisational structure, at a gathering for its employees on Tuesday. The structure sees new appointments from within the organisation, taking effect from April 1, 2016, and the departure of some leaders whose service contracts have come to an end. Petronas said the new structure, aimed at a flatter, leaner and more efficient business operating model, was to enable Petronas to better navigate the organisation through tough external environments. “It marks the start of a total group-wide transformation geared towards making it more resilient and focused to thrive both in the current and future industry landscapes,” it said.